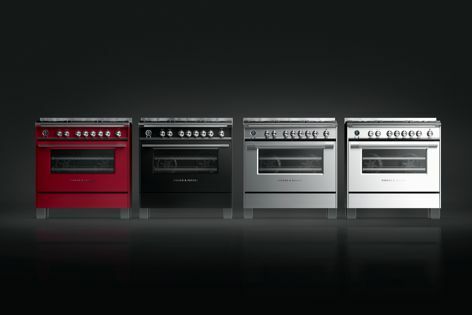 Fisher and Paykel’s Freestanding Classic Cookers are available in stainless steel or in heritage-inspired black, white or red. Fisher and Paykel’s Freestanding Classic Cookers offer a generous capacity – up to 140 litres – making them ideal for baking or roasting a feast for family and friends. The cookers’ five gas burners make it easy to simultaneously prepare multiple courses, while pyrolytic cleaning and a clever spill-containment cooktop leave more time to enjoy with guests.